IS THE EXODUS FROM CHINA’S REAL ESTATE MARKET HEADING TO EUROPE? 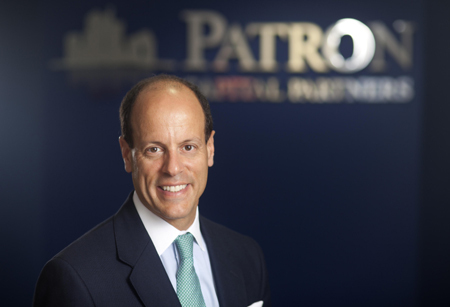 Keith Breslauer is Managing Director of Patron Capital, the specialist pan-European opportunistic property investor. China has experienced thirty years of rapid growth owing to an increase in its exports. This has pulled tens of millions of underemployed from the countryside to the cities, and in turn, has resulted in frenetic activity in the urban property markets. But the rates of growth China has seen are unsustainable. The troubled Chinese stock market has hit the headlines globally recently and close examination of the fundamentals of the Chinese property market also reveals worrying signs. In many cases, property price-to-income ratios have risen to above 20 times, while rents sit at little more than 1%. This has led to a wave of properties sitting empty: a national survey by China’s Southwestern University of Finance and Economics last year estimated that around 49 million residences in urban areas are unoccupied, based on a vacancy rate of 22.4%. In addition, a recent IMF report suggests that developers in smaller cities have unsold supply of around three years of sales assuming current demand and no significant new supply. The result of this is seeping through with a severe decline in prices, an erosion of household wealth, and decreased activity and potential financial difficulty for developers of and investors in residential property. The situation is affecting the market elsewhere too, with Chinese investors aborting some planned commercial property transactions overseas, such as the £455m acquisition of Broadgate Quarter in the City of London. The severity of the situation should not be underestimated especially in light of recent events as the Chinese manufacturing sectors continues to slow: with China having accumulated debts of 200% of GDP, ongoing issues with its economy could potentially lead to a global recession. Nevertheless, there may still be some hope, at least in the short term. The situation in China has led the wealthy to seek alternative routes to export capital, intensifying their interest in safe-haven global property markets, according to anecdotal reports from Knight Frank. As domestic investment opportunities continue to diminish and capital restrictions loosen up, the country’s wealthy individuals and companies are moving more money overseas, in search of better returns elsewhere. Europe remains an attractive destination for investment, despite Eurozone GDP growth forecasts being cut. The extension of quantitative easing across Europe, could result in the euro remaining weak against other international currencies, low interest rates continuing and further funds being available for commercial real estate investment. In a low interest rate environment, commercial real estate yields, when combined with capital gains, still make investment attractive. The residential market is also a target for Chinese investors, with 9.4% of sales in prime London markets in the first six months of 2015 made to Chinese homebuyers, according to Knight Frank. In October, a delegation of about 100 Chinese investors, developers and construction companies visited the capital scoping opportunities in London and other major UK cities. At a trade conference at Mansion House in the City of London, the Prime Minister spoke of up to £40bn of trade and investment deals between Britain and China while Asia’s richest man, Li Ka-shing, has sold more than 20 billion yuan of commercial properties in Shanghai, Beijing and Guangzhou, sparking rumours in the media that he will exit China to focus on opportunities in Europe. Work has already begun on One Nine Elms, a pair of residential towers of 58 and 43 storeys on the south bank near Vauxhall by Dalian Wanda, China’s biggest developer. Masterminded by Wang Jianlin, the country’s richest man, who enjoys a personal fortune of $42.6bn (£27.6bn), the project is set make its mark on one of London’s highest profile new districts. This level of investment is reminiscent of other booms: during the 1980s, Japanese investors snapped up international property, including Mitsui & Company paying more than $610m for the Exxon Building on the Avenue of the Americas, which was the highest price ever for a single office tower in New York City at the time. American soil also seems to be absorbing a lot of the roaming investors. China’s second largest insurer has launched a $1bn investment mandate with US property fund Blumberg to invest in the American real estate market; and in the residential market, the Chinese represent the largest group of overseas buyers. The trend, which began on the coasts, is now moving to the Midwest, according to a report by the National Association of Realtors. However, investment in the US is hampered by the added costs of the Foreign Investment in Real Property Tax Act (FIRPTA) and although there is talk about repealing this act, investors are not holding their breath. Property taxes in the US more generally remain high. For example, research has shown that the cost of owning a residential property in New York works out to be approximately 10 times more than owning a comparable property in London, albeit these figures do not take into account recent changes to taxation on buy-to-let properties announced by the Chancellor George Osborne in the UK. Nevertheless, Europe remains a land of opportunity for the Chinese but it is also a complex area with unique individual markets. The delicate economic situation means investments in Europe need to be made at the right price, at the right time and supported by in-depth local market knowledge. Demand for specialist local knowledge has never been higher, as many believe that rather than direct investment, funds with local partners are strategically the most prudent way to achieve acceptable returns on investment.